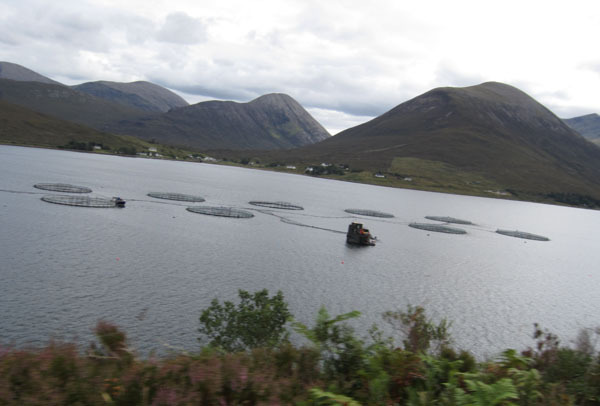 Scotland – the land of the ginger, whiskey, haggis, rain, midges, men in skirts and above all the most stunning scenery and SEAFOOD! I love Scotland for so many reasons but I never associated it with seafood, haggis and black pudding sure, but I was so amazed at the seafood delights which are fished from the rugged coasts of this fine land that I had to return for more! After arriving in Glasgow to the wettest day on record we hit the road heading for Fort William but it was not without a couple of watering hole stops along the way. First stop was The Drovers on the edge of Loch Lomond. 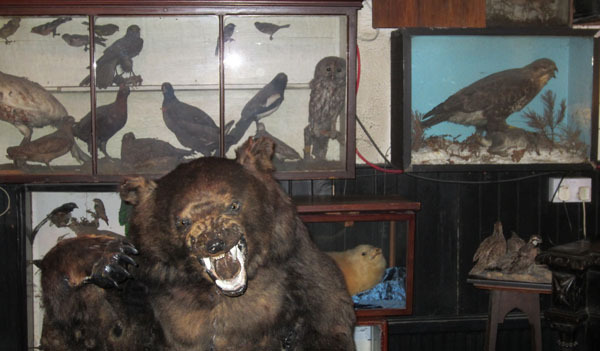 A rather curious pub with some interesting residents! Well worth the stop and although we didn’t eat the menu looked great, the Loch Lomond Monster Burger being a highlight! Next pub stop was the Clachaig Inn, Glencoe which has a very impressive selection of ales guaranteed to please every thirsty pallet. With the rain still pelting down we arrived in Fort William and powdered our noses before heading to dinner at Crannog, situated right on the town pier it boasts stunning views over the loch. Now this restaurant is west coast seafood at its finest and I was very excited to get stuck in! 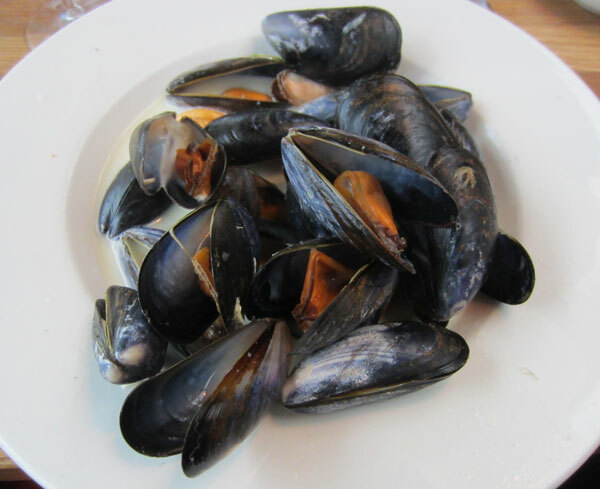 A starter of west coast mussels in a simple garlic and white wine sauce reminded me just how good Scottish seafood is! And the portion was very generous for a starter. Choosing a main was a hard task as I could have easily eaten all the options! The specials took my fancy in the end and I opted for the seared tuna steak with fine beans and chorizo salad. 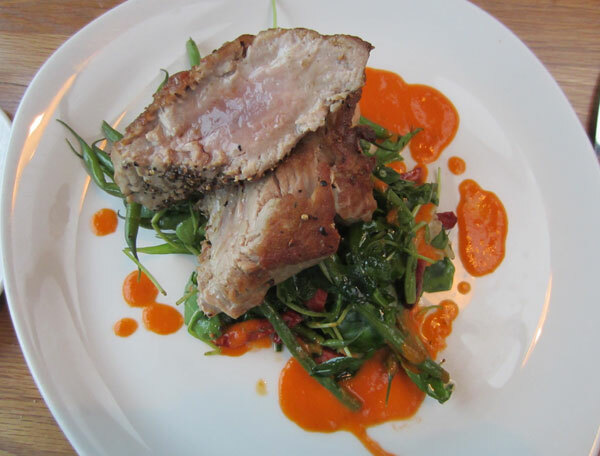 The saltiness of the chorizo was perfectly matched with the lightly peppered tuna steak. I would have preferred my tuna to be a little less well done as I like it quite pink but otherwise it was delish. 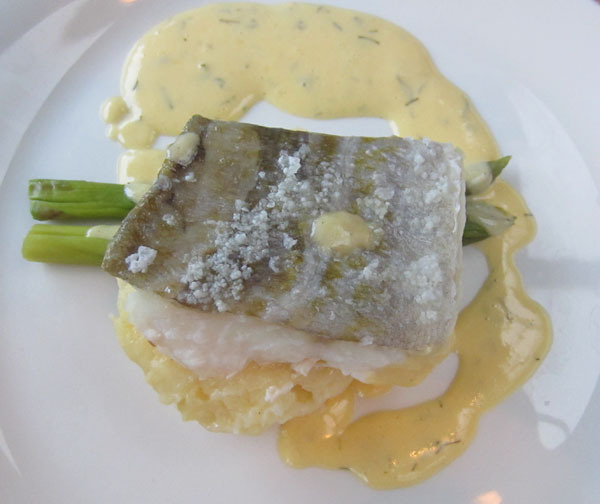 Other mains at our table were the baked cod fillet with cheddar mash, asparagus and hollandaise. 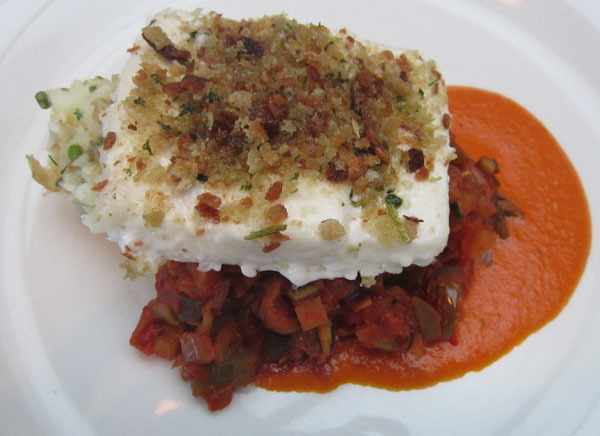 Herb crusted halibut with crushed potatoes and vegetable ratatouille. And no dinner is complete without dessert! Chocolate and Almond Cake served with a chocolate and hazelnut mousse and a white chocolate and pistachio fondue was pretty amazing! The service was great and despite the rain pouring down outside it was the perfect setting for a seafood feast. 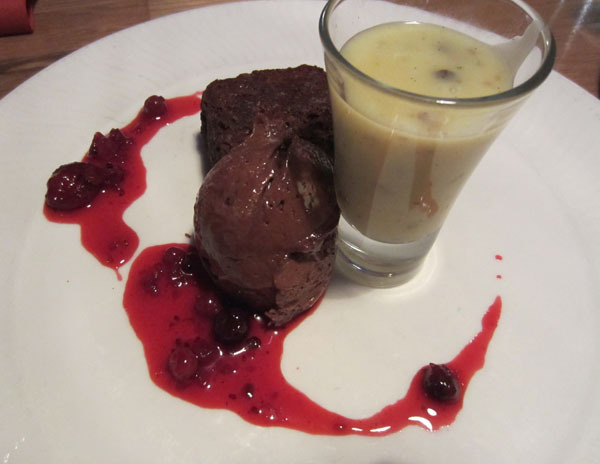 Starters are around £7 and £17 for a main, dessert £7 so very reasonable and the food really is fantastic. After a breakfast of grilled kippers we set off the following day to catch the ferry from Mallaig to the Isle of Skye. This is my second visit to Skye and it will be one of many more to come. The island is one of the most beautiful places on earth where plummeting sea cliffs and imposing headlands sit beside breathtaking waterfalls and black sandy shores. Castle ruins are perched upon rugged cliff faces and one track roads wind their way through rolling peaty burns blanketed by a purple haze of heather. And of course it is home to some fine whiskey and abundant with seafood! 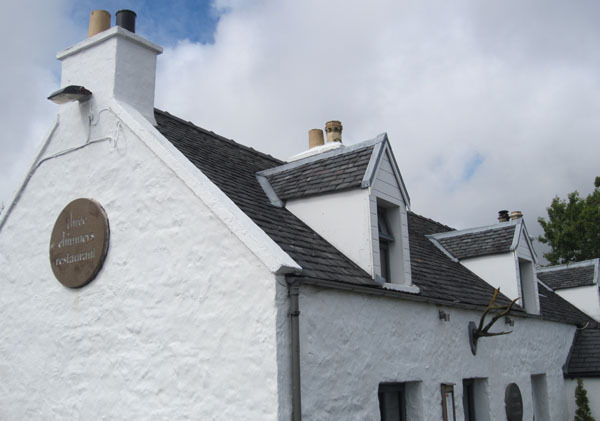 We stayed at The Old Inn at Carbost on the north west coast of Skye and conveniently just up the road from the Talisker distillery. Simple but very clean and inviting accommodation The Old Inn was perfect for our group of five and the pub offers an exceptional menu which we ate our way through and a great relaxed setting to enjoy an ale or two! 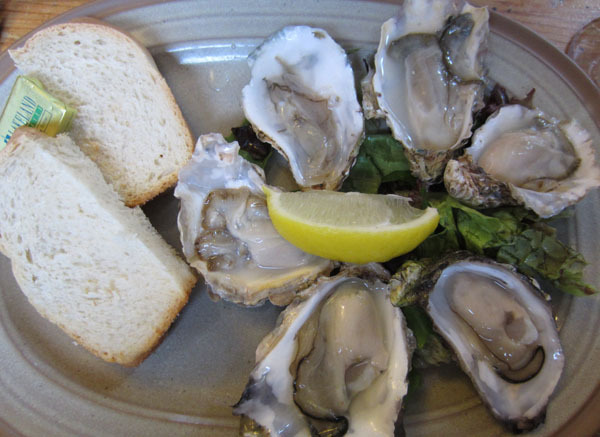 Having experienced the oysters of Loch Harport on my last visit to Skye I was very excited to be enjoying them once again. Fresh out of the water and deliciously creamy they are just gorgeous. 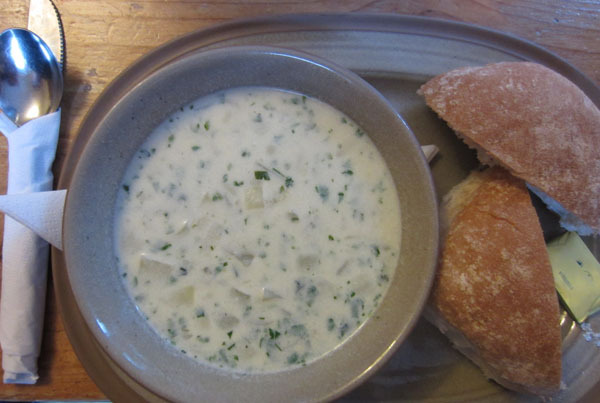 The Old Inn also served up one of my favourite Scottish specialities – Cullen skink. Cullen being a wee town in the north east of Scotland and ‘skink’ meaning soup, this is a very simple but very tasty dish containing smoked haddock, tatties and onions. 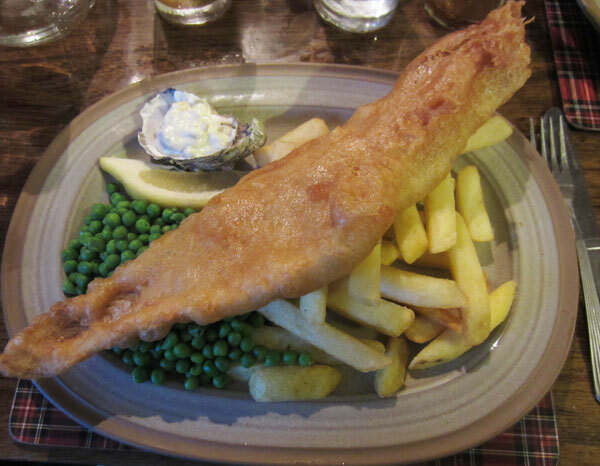 Over the three nights we stayed at The Old Inn other dishes we enjoyed were the haddock chips and peas, each night the crispy battered haddock seemed to grow in size to the point that it was easily dwarfing the plate. Garlic and butter scallops with bacon on a bed of basmati rice was a favourite, I have never seen scallops so large and fleshy they were absolutely delicious. If you were a little overwhelmed by the seafood they also did a mean angus ribeye steak and a venison burger. Desserts of sticky toffee pudding, warm chocolate brownie and chocolate and biscuit truffles were also consumed rather easily! 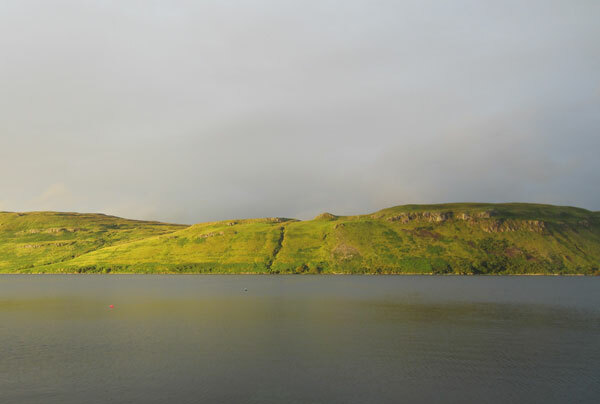 The culinary highlight of Skye was without a doubt The Three Chimneys restaurant situated on the shore of Loch Dunvegan at Colbost in the remote north-west corner. Housed in a 100-year-old stone cottage the simplicity of the dining room with low wooden beamed ceilings, original fireplaces and views directly out to the shores of the loch, it really is a special dining experience. 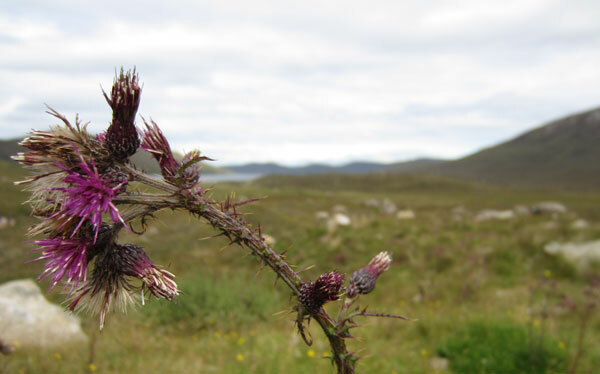 The weekly changing menu has a distinct emphasis on local and seasonal produce with a traditional Scottish twist. 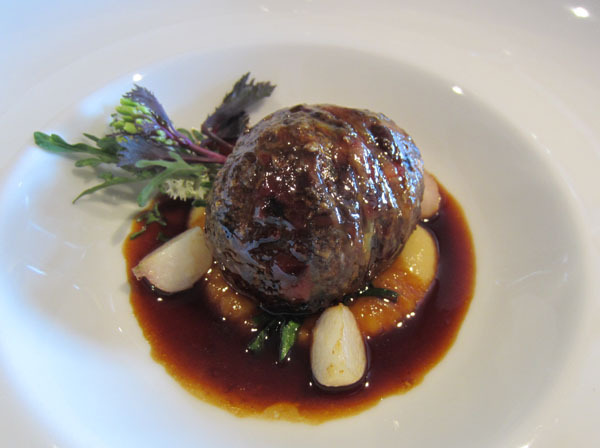 I couldn’t go past the individual blackface lamb’s haggis with Totaig neeps & greens in a peaty sauce for my starter. The rich flavour of the haggis with the whiskey gravy was perfectly complemented by a bed of buttery mashed potatoes and crunchy baby parsnips. It was absolutely divine! Very posh haggis, neeps and tatties but totally worth the experience! Other starters on our table were Glendale courgette, tomato and mint soup and a west coast fish soup which was brimming with muscles, prawns, haddock and salmon. 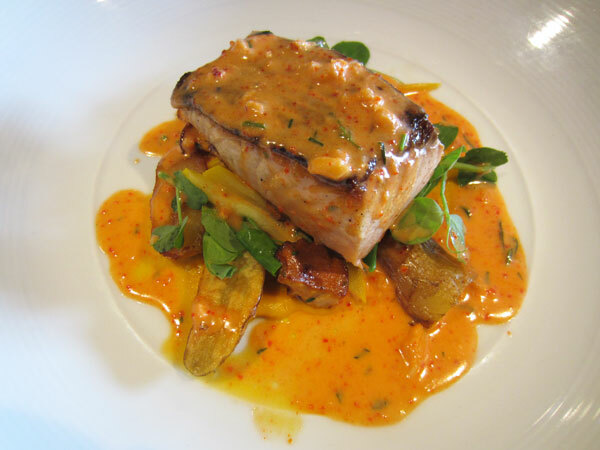 Again choosing my main was a struggle but having not eaten salmon yet on this trip I opted for the wild River Esk salmon with summer vegetables and potatoes, highland chanterelles, Moonen bay lobster and tarragon butter. The salmon was cooked to perfection and the real delight was the lobster and tarragon butter which had quite a strong flavour but brought out the sweetness of the salmon. Fellow diners had the baked Lanark blue cheesecake with nectarine, rocket and pine kernels, wild thyme and shallot relish. This was deliciously light and not at all overpowered by the blue cheese. 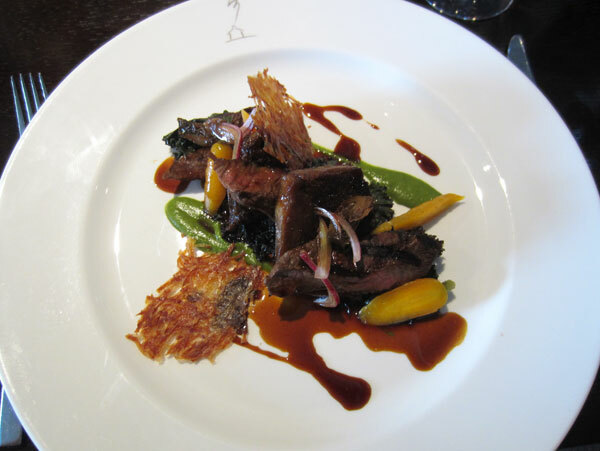 Charred featherblade, slow cooked shin and tongue of Black Isle beef with crisp rosti, Husabost carrots, Glendrynoch watercress, pickled onions and walnuts was superbly presented and equally enjoyed. The meals so far were perfectly portioned that we felt after a moments rest we were able to squeeze in dessert! And we were not disappointed! 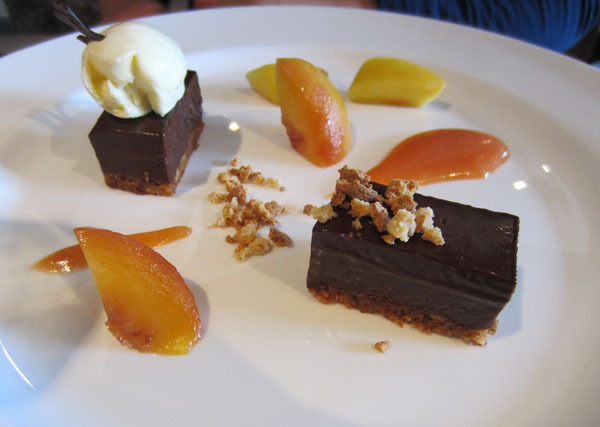 A dark chocolate and amaretti delice with peaches and creme fraiche was wickedly rich but balanced with the sweet peaches and creme fraiche. 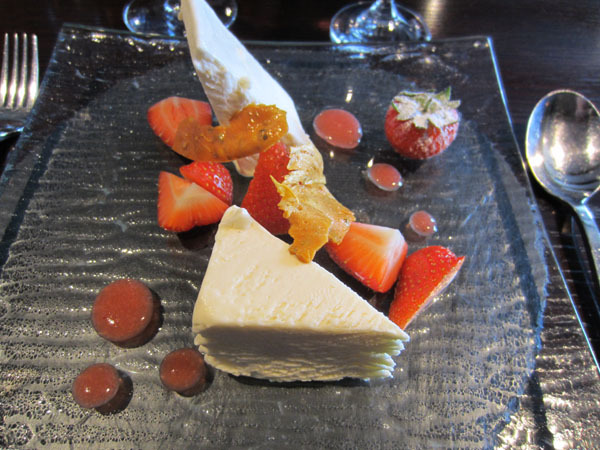 My stand out was the iced toddy parfait with Nairnshire strawberries and aniseed brittle. The parfait was packed with citrus which made it incredibly refreshing and the aniseed brittle counteracted beautifully. OK now I was stuffed but in a very good way! We dined at The Three Chimneys for lunch and the three course menu was £37 per person which in my opinion is exceptional value. 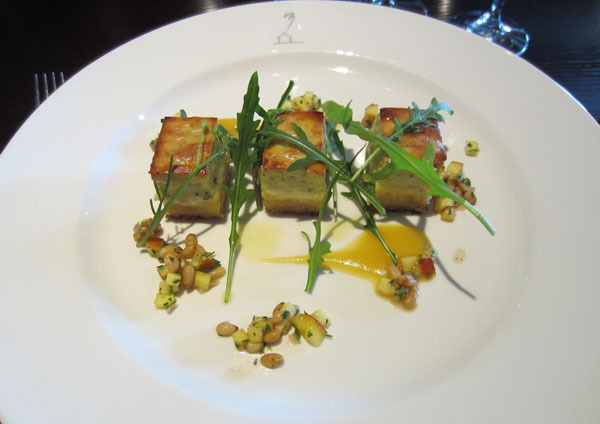 The service was very attentive and it truly is a fine dining experience. The three course menu for dinner is £60 per person and they also run the Seven Courses of Skye Showcase Menu alongside the main menu for £85.00 per person – let’s just say I’ll be back! The Three Chimneys also boasts an extensive wine list with choices from around the globe and starting at very reasonable prices.